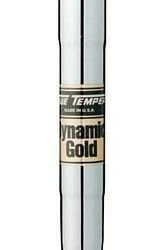 True Temper actually invented the steel shaft back in the 1920s. (You can quote me on that -- except the company was called something else then.) Before that, the game was played with hickory shafts. Those whippy, high torque shafts required a slow, wristy swing. When steel shafts came into play, the golf swing forever changed into the modern powerful "body" swing that it is today. These shafts are very reasonably priced and give your clubs a consistent feel throughout the bag. The drawback to steel is the heaviness and the vibration. True Temper makes a couple lighter models: the SL shaft and the GS75. And for a shaft with 70% less vibration, try the Sensicore.